Join us for this kids craft. 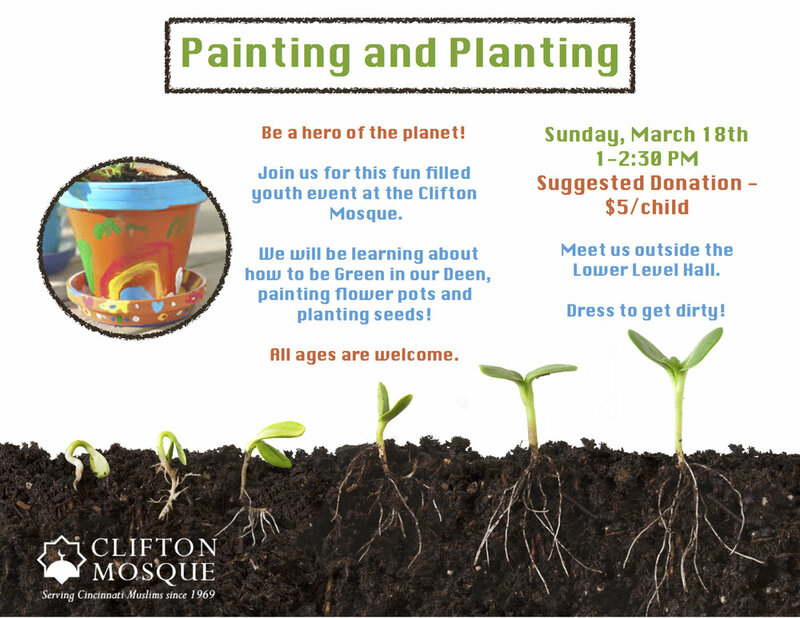 We will be learning about how to be green in our Deen, we will paint flower pots, and plant some seeds! Meet us outside the lower level hall. There is a suggested $5 donation for this crafting event.